It seemed time to have a group that focuses on the continuing and free opportunity to further learning that is provided by the MOOC offerings. 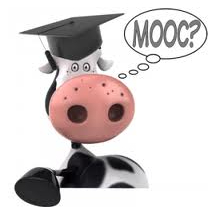 MOOC means massive open online course. There are several providers. The biggest are Coursera.org and edx.org. Others include FutureLearn, Stanford Online, Canvas.net, and Open2Study. Subjects are wide: science, literature, philosophy, religion, math, programing, business, economics, music, history. Almost anything that is taught at the university level. Please join the MOOC discussion. Announce new courses. Discuss existing courses.